"How can I make better choices for my life?" "How can I end my repetitive behavior?" "How can I stick to my goals?" "Focusing" is a way of tapping into your vast emotional intelligence through the messages of your body. It gives you direct access to your own inner compass, where you know the right direction for your life. Do you long for a sense of community, a place to really get to know yourself deeply and experience the acceptance of a supportive group? When was the last time you gave yourself a whole week to play, to connect, to explore yourself deeply? And wouldn’t it be great to be able to learn Focusing, or explore it more deeply, in the company of four internationally known teachers all together in one beautiful place for one week? You’ll use self-compassion and empathy to release the blocks that have been holding you back, in this training by one of the most experienced Focusing teachers in the world. By the end of the week you’ll be ready to carry Focusing forward into your own life setting, and continue to release your blocks. Appropriate for beginners and for experienced Focusers who want to release blocks. We’ll create comfort and safety in the group as well as a sense of fun and community. Our living body of spirit is both something that is natal to our being, yet is also something that we can (re)create. This group will be a journey using Wholebody Focusing to call us back and bring forth our lost, forgotten or wounded spirit – renewing a fuller sense of embodied aliveness. We will experience and practice the foundational aspects of WBF as an embodied method of awakening and accessing the body's life energy and spirit to transform our conditioned patterns and recover our natural body of vitality and interconnectedness with all Being(s). Glenn Fleisch is a Licensed Psychotherapist with 35 years experience in private practice as a Focusing-oriented therapist (FOT). He is a leading innovator in FOT, especially the theory and practice of Wholebody Focusing (WBF) to transforming body patterns associated with trauma. His work includes: expressive & drama work; embodied engagement in the shared relational field; restoring the body’s vital life force and natal spirit; and facilitating the body’s deeper unfolding. Glenn has taught WBF and FOT worldwide, and is currently teaching online WBF seminars entitled “Recovering your body’s spirit: becoming fully alive with WBF.” In addition, Glenn has authored numerous papers, articles and book chapters, including “Transformational Focusing,” (co-authored with Doralee Grindler Katonah), and “Focusing-oriented therapy: how the body leads the way at the edge of impasse.” He is currently working on a WBF manual from his online courses as well a book project: The transformational power of Wholebody Focusing: awakening the vital life-force and recovering the body’s natural spirit. But what comes in Focusing can remain unused because it hasn't been carried forward into right language and action steps. TAE (Thinking at the Edge) gives you those missing steps of just-right articulation. And that is just the beginning! In this THINK DIFFERENT course, you can bring something new for yourself and communicate it to others. In a step-by-step process you will learn how to say more and put your own original ideas into the world with clarity, confidence and success. The skills from this workshop can be used in many different areas of life: personal development, business meetings, professional proposals, creative writing, family interaction, public speaking, educational events, negotiation skills, mediation, and in endless other ways. Nada Lou is well known throughout the Focusing world for her double specialty in Thinking at the Edge (TAE) and Focusing. She taught many courses around the world for over 30 years. She is the author of "The Grassroots Introduction Manual to TAE" and the prolific video maker of more than 45 DVDs featuring TIFI Focusing teachers. Immersing herself in Gendlin's thinking through her DVD Productions has made Nada one of the world's experts in TAE. Since co-presenting TAE workshops with Dr. Gendlin, Nada evolved a personal approach to TAE course called THINK DIFFERENT - FOCUSING FOR THINKING, and is in the forefront of spreading this practice around the world as a study program, live lectures, seminars and webinar courses. Nada is a Focusing Institute Coordinator certified to train those wishing to teach Focusing/TAE. She has the ability to gently and patiently nurture each person's thinking edge, guiding them at every step. In mirroring what you heard, not only words matter: There is also the sound, the rhythm, the use of room and the gestures, which support the focuser in his/her unfolding process of the felt sense. Playback Theatre is the invitation to explore a holistic communication that makes you more familiar with the unfolding creativity through the free play with room, body, sound, rhythm and imagination. Improvised acting with Focusing is a wonderful experience to carry forward the personal stories on stage and in life. Let's go! Tobias von Schulthess is a certified playback theatre practitioner, Focusing trainer and mediator. In 2009 he founded the Playback Theatre St. Gallen, Switzerland. He uses and explores the art of playback theatre together with Focusing as a creative, challenging and playful practice to deal with our complex and unpredictable lives. He teaches both as a very effective and sustainable way to lead teams, support learning processes and solve conflicts. Tobias began his working life in a travel agency as a consultant and travel guide. Then he moved to the field of human resources in the industrial and banking business before he started his own business as a trainer, mediator and coach. All morning courses are suitable for beginning through advanced Focusers. When you register below, you will choose which teacher's course to follow each morning. The International Focusing Institute is approved by the American Psychological Association to sponsor continuing education for psychologists. The International Focusing Institute maintains responsibility for this program and its content. The International Focusing Institute, Inc. is recognized by the New York State Education Department's State Board for Social Work as an approved provider of continuing education for licensed social workers #SW-0055. This program meets the qualifications for 12 hours of continuing education credit for LMFTs, LCSWs, LPCCs, and/or LEPs as required by the California Board of Behavioral Sciences. Focusing Resources, CAMFT Approved CE Provider #62524.
a seven-minute sample of their work in this video of a recent webinar. Read the poems shared by Glenn Fleisch on this call. Afternoon workshops are an opportunity to explore a variety of topics and teachers. Click here for a complete list of afternoon workshop titles. There will be two offerings each day for gentle movement: yoga before breakfast and something different in the afternoon before dinner. Each morning before breakfast a yoga class will be offered by Betsy Powers. Betsy’s classes reflect an affinity for mindfulness and classical yoga as a path to personal freedom and healing. Each class will be suitable for all levels and all are welcome. Betsy Powers LAPC, RYT-200 has been teaching yoga since 2009 and practicing many forms of modern yoga since 2006. 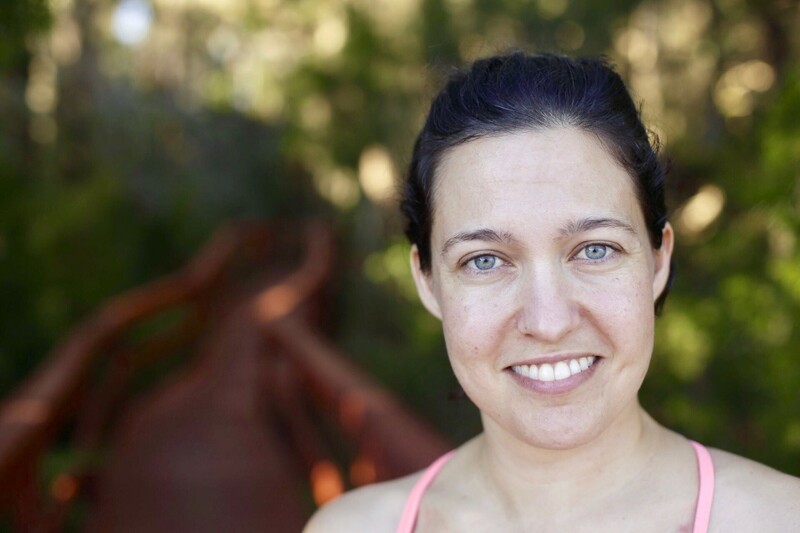 While she is primarily a follower/fan of the Ashtanga yoga tradition, her Master's Degree in Body Psychotherapy also informs her current teaching style. Much like the practice of Focusing, this movement class is about creating a safe space in which we can awaken our body's innate wisdom to know what it needs and how it wants to move in each moment. Through a guided series of improvisations with oneself, a partner, or a group of people, we will practice the listening that guides us to move, explore, play, and heal with a sense of curiosity and joy. Kristin Swiat is a movement-based artist and bodyworker and is interested in the areas where art and healing connect. She earned a BFA in dance from Juilliard in 2003 and has been dancing and choreographing in NY and Europe ever since. She also studied massage therapy at the Swedish Institute and Craniosacral Therapy with the Upledger Institute. The Garrison Institute in Garrison, NY, is located approximately 1 hour north of New York City by train. Participants will check in on Monday, afternoon August 14, 2017 stay 5 nights, and finish the program on Saturday, August 19, 2017. Student Discount - $200 (for students currently enrolled full-time in a university or equivalent program). Call the office at 845-480-5111 to register. Photographer, Videographer, Audio/Visual, Catch-all, Night-Emergency Assistance, Yoga Instructor, Movement Instructor, Translators. Work study applications should be emailed to workstudyFISS@focusing.org no later than March 1, 2017. Please note: we will fill jobs as soon as the right candidate applies, so get your application in as early as possible. Work study jobs are part-time jobs during the retreat and are opportunities for a tuition discount. Retreat Photographer $75 off current tuition plus $50 credit at our onsite bookstore – must have own digital camera. This position is filled. Retreat Videographer $150 off current tuition plus $50 credit at our onsite bookstore – must have own video camera. Audio/Visual responsible for all audio/visual needs throughout the week such as setting up microphones and projection screens, working the sound board, etc. Equipment is provided. $450 off current tuition plus $50 credit at our onsite bookstore. This position is filled. Catch-all (room set-up and clean-up, helping with general requests) -- $350 off current tuition plus $50 credit at our onsite bookstore. This position is filled. Night emergency assistance (must have car) $250 off current tuition plus $50 credit at our onsite bookstore. Translators (if needed) when 4 or more people register who need translation, we seek translators – please submit your application early if you are interested so that we can contact non-English groups to let them know the opportunity exists – $750 off. Certified Yoga and one other movement instructor – two positions - one to lead an early morning class and one to lead a late afternoon class – $750 off. Yoga will be offered in the morning and something different in the afternoon. These positions are filled. We offer options to split the cost into multiple payments. $150 administration fee for cancellation before June 14. After June 14 all fees are non-refundable except in an unavoidable emergency determined on a case by case basis.